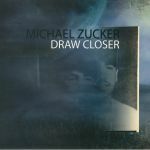 Review: Having served as a reliable source of heads down deep house, deep techno and other such electronic gems for a long time now, Michael Zucker finally steps up to Finale Sessions with his debut album, and it was worth the wait. 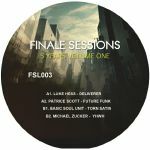 He frames it as presenting his life story across eight tracks, leading in with the elegant, heads-down tech house roll of "40 Days" and the immersive ambience of downtempo jam "Choosing Sides." There are diversions into broken beat on "Tokyo Sunrise" and rawer drum sounds powering "Divine Power," but the vibe is consistent across the LP. Melodic, mellow machine soul positively pours out of this one.